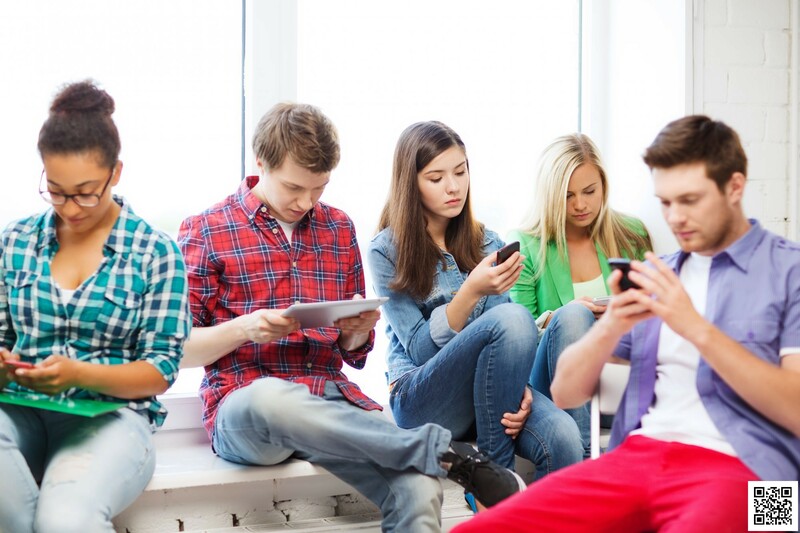 A precipitous drop in the happiness, self-esteem and life satisfaction of American teens came as their ownership of smartphones rocketed from zero to 73% and they devoted an increasing share of their time online. In a study published Monday in the journal Emotion, psychologists from San Diego State University and the University of Georgia used data on mood and media culled from roughly 1.1 million U.S. teens to figure out why a decades-long rise in happiness and satisfaction among U.S. teens suddenly shifted course in 2012 and declined sharply over the next four years. Was this sudden reversal a response to an economy that tanked in 2007 and stayed bad well into 2012? Or did it have its roots in a very different watershed event: the 2007 introduction of the smartphone, which put the entire online world at a user’s fingertips? Smartphones were a technological innovation embraced like no other: By 2012, half of Americans (and roughly 37% of teens) owned one. By 2016, 77% of all Americans carried an iPhone or something like it, including at least 73% of teens. Evidence of their affect on teens has been all over the map. Some studies show that the greater the time spent engaged in online content and social media, the unhappier the child. Others have found evidence that participation in social media plays a positive role in teens’ self-images. That’s led some to suggest there’s a “sweet spot” of social-media use. Where it lies is anybody’s guess. In the new study, researchers tried to find it by plumbing a trove of eighth-, 10th- and 12th-graders’ responses to queries on how they felt about life and how they used their time. 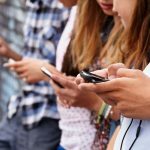 They found that between 1991 and 2016, adolescents who spent more time on electronic communication and screens — social media, texting, electronic games, the Internet — were less happy, less satisfied with their lives and had lower self-esteem. TV watching, which declined over the nearly two decades they examined, was similarly linked to lower psychological well-being. By contrast, adolescents who spent more time on non-screen activities had higher psychological well-being. They tended to profess greater happiness, higher self-esteem and more satisfaction with their lives. The survey that 1.1 million adolescents answered between 1991 and 2016 (called Monitoring the Future) doesn’t track a single group of kids from year to year. So the researchers could draw no conclusions about the evolution of an individual teen’s happiness and self-esteem on the basis of how she spent her time. But by looking at group snapshots of kids taken in any given year, they could discern consistent patterns — correlations — between how kids spent their time and how satisfied they were with themselves and their lives. Gathered together, those snapshots also produced a clear picture: adolescents’ psychological well-being was lowest in years when, as a group, they spent more time online, on social media and reading news online, and when more Americans owned smartphones. Psychological well-being was highest in years when adolescents spent more time with their friends in person, reading print media and on exercise and sports. It’s quite another thing to show that smartphones — and the increase in time spent online that came with them — is the cause of growing teen angst. To do that, researchers needed to align potential “causes” and “effects” with a lag time of a year, and see if the correlation still held. Sure enough, the downward trajectory of psychological well-being closely followed trends of smartphone adoption and time spent online, not the other way around. The analysis also suggested that the Great Recession didn’t explain the national souring of teens’ moods. An increase in income inequality and a drop in gross domestic product did correlate with their decline in happiness and satisfaction. But unemployment peaked in 2010 and teens’ psychological well-being began to decline only after 2012. Their satisfaction did not consistently rise or fall in response to changes in median household income, the stock market’s Dow Jones industrial average, the unemployment rate or college enrollment (which is also an economic bellwether). “The sudden shift in well-being around 2012-13 suggests that the trends in adolescent time use reached a tipping point around that year, perhaps due to the market saturation of smartphones in that period,” wrote the authors, Jean M. Twenge and Gabrielle Martin of San Diego State University and W. Keith Campbell of the University of Georgia. In fact, they noted, after teen ownership of smartphones began to stabilize in 2014-15, so, too, did the national decline in teen happiness and self-esteem. It’s possible that adults also experienced a change in happiness as smartphones proliferated. But Twenge, Martin and Campbell suggest that teens who were among the first to navigate adolescence with the full range of online offerings in their palms might just be unique in their response. “The abrupt changes in adolescents’ time use and well-being suggest a possible generational shift appearing among those born after about 1995,” they wrote. Perhaps, they added, the cutoff for the generation known as Millennials (thought to be those born between 1980 and 1999) should stop at 1995. A new generation is now dominating research samples of teens and college-age young adults. 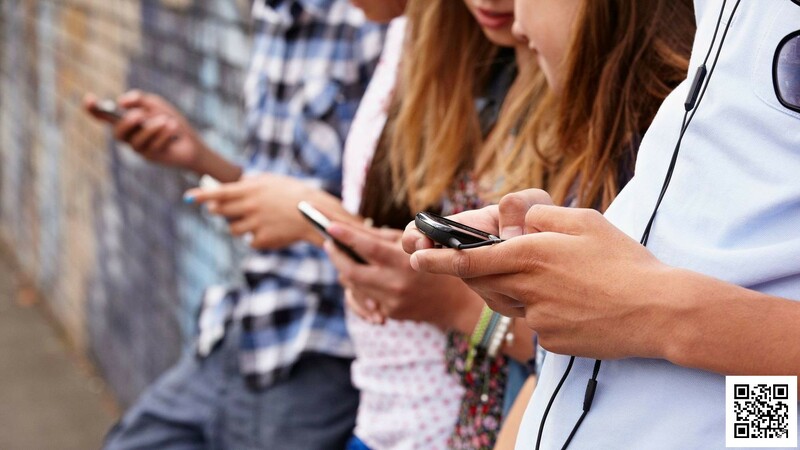 They might be called iGen, the authors wrote, and their rapid adoption of smartphone technology in the early 2010s may leave a mark on their young psyches that will distinguish them from Millennials. Posted in Education, Health & Body, News.